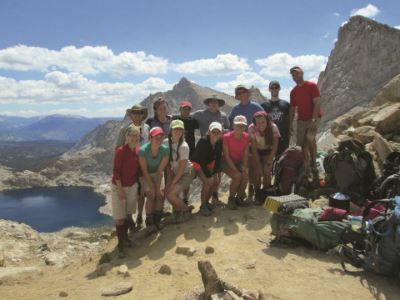 Partners in the Parks is an outdoor experiential learning program coordinated by the National Collegiate Honors Council. PITP projects at national parks across the country offer unique opportunities for collegiate honors students and faculty to visit areas of the American landscape noted for their beauty, significance and lasting value. Our first project, at Bryce Canyon National Park, was organized in 2007 as a 2016 Centennial Initiative Program with Cedar Breaks National Monument as the sponsoring park unit. Since then we have sponsored 66 projects at 37 different parks for over 500 student participants. Seminars led by university faculty and park personnel will include historical, scientific, cultural, and other important areas unique to a given park. Projects will also take advantage of exciting recreational opportunities in the parks to broaden participant's understanding of the overall value of national parks to our country and its citizens. Due to member support, NCHC offers scholarships for every PITP project sponsored by NCHC! If you are not the director of your program, or you do not hold a current NCHC Student Membership, you may not be in our new software system yet! You must sign up as a "Contact" prior to registering for any Partners in the Parks trip. Take care of that now, so you're ready to register on December 1st! Sign up as a Contact! Be sure to select “Contact” when creating a username for our website. You'll receive an email notification, and THEN you may start registration for Partners in the Parks on (or after) December 1, 2018. *Members receive a 50% discount on PITP Registration pricing!